Is Singaporean tycoon, 65, the father of Cecilia Cheung’s third son? Who is the father? That is the question on many people's minds after it was disclosed that Hong Kong actress Cecilia Cheung has given birth to her third child. Apple Daily reported on Friday (Nov 30) that Cheung gave birth to a son at the Hong Kong Sanatorium & Hospital on Sunday (Nov 25). Cheung, 38, has two sons - Lucas, 11, and Quintus, eight - from her five-year marriage with actor Nicholas Tse. The couple divorced in 2011 and Tse has reportedly resumed his relationship with former girlfriend, Chinese pop queen Faye Wong. Cheung, who moved to Singapore with her two sons after her divorce, was linked to a Singaporean tycoon in March this year. Her mother Davies Shally disclosed in a TV programme then that her daughter's new boyfriend is a 65-year-old businessman from Singapore. Apple Daily said the tycoon is believed to be the baby's father. He is said to be from a rich family and owns a listed company. He is also reportedly a shareholder in a Singapore food and beverage chain. … [Read more...] about Is Singaporean tycoon, 65, the father of Cecilia Cheung’s third son? Has Hong Kong actress Cecilia Cheung given birth to a baby with a 65-year-old Singaporean man? Is Cecilia Cheung a mother of three now? The Hong Kong actress has reportedly given birth to a baby boy in Hong Kong on Nov 25, with the father said to be a 65-year-old wealthy Singaporean businessman. 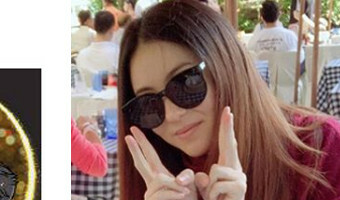 Emerging Chinese media reports described the 38-year-old actress' boyfriend as an investor in several restaurant chains who has a publicly-traded enterprise. When approached by reporters staked out outside his home, her ex-husband Nicholas Tse simply replied: "No comment". The pair share custody of their sons, Lucas, 10, and Quintus, 8. Cheung's mother was also spotted outside the Hong Kong Sanatorium & Hospital, where the actress is said to be recuperating. However, she denied that she was there to visit her daughter, stating that she's sick. Her mother had let slip earlier in March that her daughter was seeing a 65-year-old Singaporean businessman, Apple Daily Hong Kong reported. She added that despite their 27-year age gap, he knows how to take … [Read more...] about Has Hong Kong actress Cecilia Cheung given birth to a baby with a 65-year-old Singaporean man?